Mimblewimble was born in 2016, when an anonymous individual, going by the pseudonym Tom Elvis Jedusor (a character from the Harry Potter books), signed into a Bitcoin IRS research channel, dropped a document and signed out. The document contained information about a new blockchain proposition titled: Mimblewimble (also a reference to a Harry Potter). An updated whitepaper of Mimblewimble was published by Andrew Spoelstra on the 6th of October 2016. The original Mimblewimble document contained a new approach to the blockchain-based ledger. It proposes a change in transaction construction from Bitcoin’s, making it much faster and scalable. Mimblewimble utilizes some of the originally intended tricks for Bitcoin to empower the privacy of transactions (Greg Maxwell’s CoinJoin and Confidential Transactions). 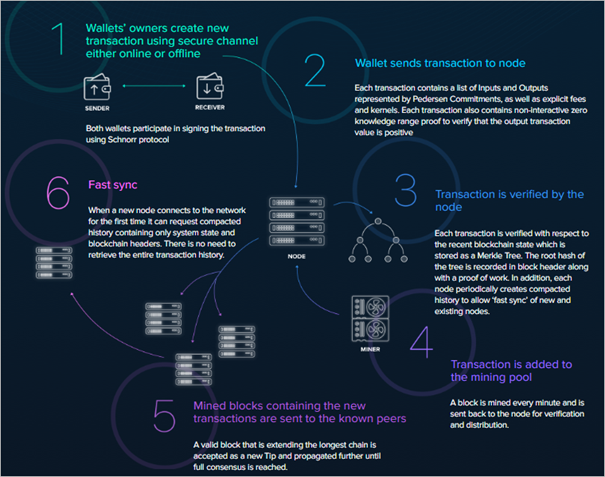 Mimblewimble’s protocol summarizes the blockchain so that only a final state summary is kept. Privacy and scale are both optimized at the same time in the protocol. 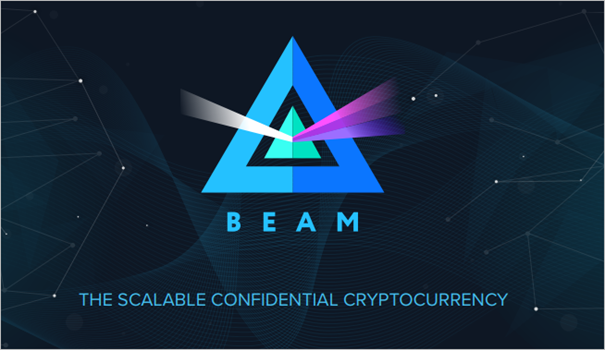 The first Mimblewimble implementation that launched its mainnet on January 3rd, is called Beam, which proposes a scalable, confidential cryptocurrency. The Beam blockchain is built from scratch in the C++ programming language. It adopted the Mimblewimble protocol and added on it to make it more private and scalable. Beam, how does it work? Both the sender and the receiver participate in the transaction, in oppose to the Bitcoin transaction scheme, where only the sender signs. Both parties sign the transaction using the Schnorr protocol. Schnorr allows for multiple signatures to be comprised into one single signature. While having the size of one single signature, all the individual signatures in the single signature are authorized. The wallet sends the transaction to the node, with each transaction containing a list of inputs and outputs, as well as zero-knowledge range proofs. To ensure each transaction is positive without revealing the actual amounts in the transaction, Beam uses a compact implementation of zero-knowledge range proofs, called Bulletproofs. It is important to check if a transaction is positive because allowing users to create transactions with negative value would mean that new coins can be created out of thin air, which should be prohibited. If all is well, the transaction is verified by the node and added to the mining pool. Blocks on the Beam blockchain are mined using a modified Equihash Proof of Work (PoW) algorithm, that is ASIC resistant. After the block is mined, the transaction is sent back to the node for verification and distribution. Beam is a deflationary coin with a capped supply. Every four years there is a halving in the mining reward. After 133 years in existence, the emission of new coins will be stopped. Beam’s emissions are denominated in Groth, named after the computer scientist and cryptographer who contributed to the zero-knowledge proofs. 1 BEAM = 100,000,000 Groth. 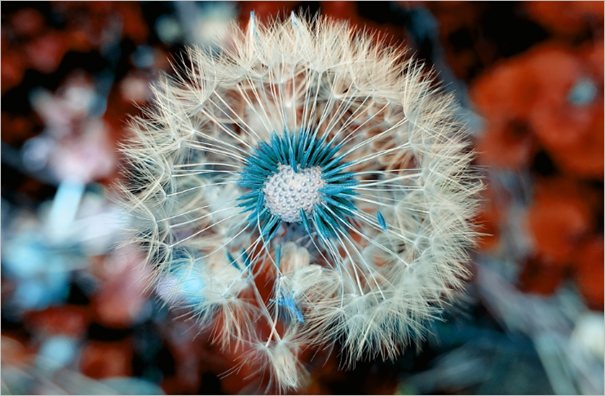 Dandelion is a lightweight network layer protocol proposed by Giulia Fanti, in 2017, to improve upon the privacy in the Bitcoin network. Because the original Dandelion protocol contained a fundamental error that over time could de-anonymize transactions, Dandelion ++ was released as a solution to this problem. Dandelion ++ is being used in Mimblewimble and Beam as a way to mitigate risk and reduce the probability of origin detection (IP). IP addresses can become compromised by nodes recording all IP transactions. This could lead to deanonymizing of certain IP addresses. Another blockchain-based project to implement dandelion is Zcoin. Beam offers an optional auditability feature in which users can create auditor keys, which they can send to accountants, auditors, tax authorities or other entities of their choice. The auditor can check the user’s transactions on the blockchain. Auditability cannot be accessed retrospectively. An important thing to note is that the team is not focused on making Beam a means to exchange, but it is intended more as a store of value. The scalability at the moment or in the near future will not enable BEAM to be used as a global digital currency. They are however looking at improving performance by researching scalability solutions, like Bitcoin’s Lightning Network and ThunderCore’s Thunderella protocol. 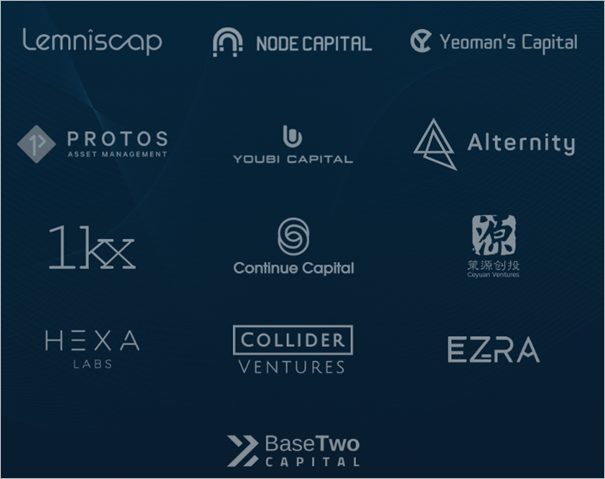 Instead of opting for an ICO, STO or other funding rounds, Beam created a startup called Beam Development Ltd. On the website, Beam states 13 institutional investors that initially funded the project. To continue the project’s development and enable monthly staff salaries, Beam established a treasury that pays 20 BEAM for each block that is generated during the first year of existence. For years two through five they will receive 10 BEAM per generated block. After five years the treasury will no longer receive the rewards from the block rewards. Over time, Beam intends to start a dedicated non-profit foundation to oversee the project. At the moment, approximately 40 blocks are confirmed every hour, generating 19,200 BEAM (40 blocks x 20 BEAM x 24 hours) each day for the treasury department, under the condition that the transaction count will continue to stay the same. At the current price ($1.46), $10 million will be generated for the treasury on a yearly basis. That should be sufficient to continue development on the project, considering the amount of team members Beam currently employs (22 according to LinkedIn). It should also enable paying back initial investors. The idea of starting a foundation with a treasury department is similar to ZCash. They receive a yearly 3% of the total mining rewards, filling their treasury with 6,125 ZEC a year, currently worth around $30 million, which should be more than enough to cover their $500k monthly costs. Beam launched in March of 2018. In September they released their Public Testnet, built from scratch. On January 3rd Beam announced the launch of their Mainnet. In 2019, Beam continues to work on the implementation of two main features: Beam Core and Beam Compliance. Beam Core has a main focus that lies on maintaining and improving Beam’s currency and payments network, while Beam Compliance centers around things related to the opt-in compliance and auditability that will be integrated into the project. As a sub-project, some resources will be allocated to Project Lumini, that aims to bridge the gap between Beam blockchain and smart-contract enabled blockchains. 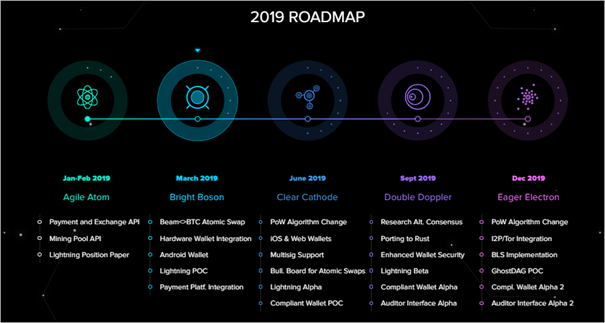 A full overview of Beam’s ambitious roadmap can be found in this blog post. To mine Beam, you need a CPU or GPU and an instruction manual could come in handy for some. There are some well written guides available on how to start mining the cryptocurrency. There are different mining pools you can use, more info can be found in the dedicated Beam Mining Telegram channel. Always be careful when trading on a digital asset exchange. I personally do not trade on any of the exchanges mentioned above. I advise you to do your own due diligence, before deciding whether or not you want to deposit fiat or cryptocurrency. As I see it, a fair launch project is something that could really benefit the industry. I really think most people are fed up with whitepaper ICOs that do not need to show accountability to its investors. As you can see in the graph below, ICOs continue to raise less money month after month in 2018. Beam chose to do the work first. They launched their mainnet and launched a treasury later. They did not set aside a pre-mine for themselves. I think it is admirable to start the project off, with working hard without expecting millions of dollars in advance. As with all new projects and technological advancements, beams protocol isn’t working smoothly yet. At some point their blockchain temporarily came to a halt, the wallet showed a vulnerability and needed some fixes. So far, the team has been very forthcoming with announcing updates and vulnerability notifications. It looks pretty transparent. Doing the research on Beam, I must say I’m pretty impressed by what the team has already accomplished. They had to work with the funds raised by VC investors. Unfortunately I could not find any disclosed numbers of funding. The team has already carried out a lot of work, as they only just started less than a year ago. A mainnet launch, a lot of people talking about the project, and they will only continue to be paid if the projects stays successful, so they actually have an incentive to do the work that needs to be done. I personally like what Beam is doing, they have an ambitious roadmap, and I will be following the project closely. What are your thoughts on Beam? Will people start using Beam as a currency on a large scale? Let me know in the comments below. Disclaimer: This article is not intended as investment advice. You should always do your own research. All the information provided in this article is based on my own personal opinion. I am not being rewarded to write this article. I do not own any Beam tokens. During these challenging market conditions I strongly urge everyone to thoroughly research projects to potentially invest in. If you do decide you want to invest, only invest money you can afford to lose. Beam, the Privacy Focused Cryptocurrency Built on The Mimblewimble Protocol was originally published in Hacker Noon on Medium, where people are continuing the conversation by highlighting and responding to this story.